When I was growing up, history was not my favorite thing. It was full of people that I didn't know, events I'd never heard of and a culture completely unfamiliar. Why should a kid care about people who aren't even alive anymore? It just didn't seem real. The older I get, though, the more interesting history has become. 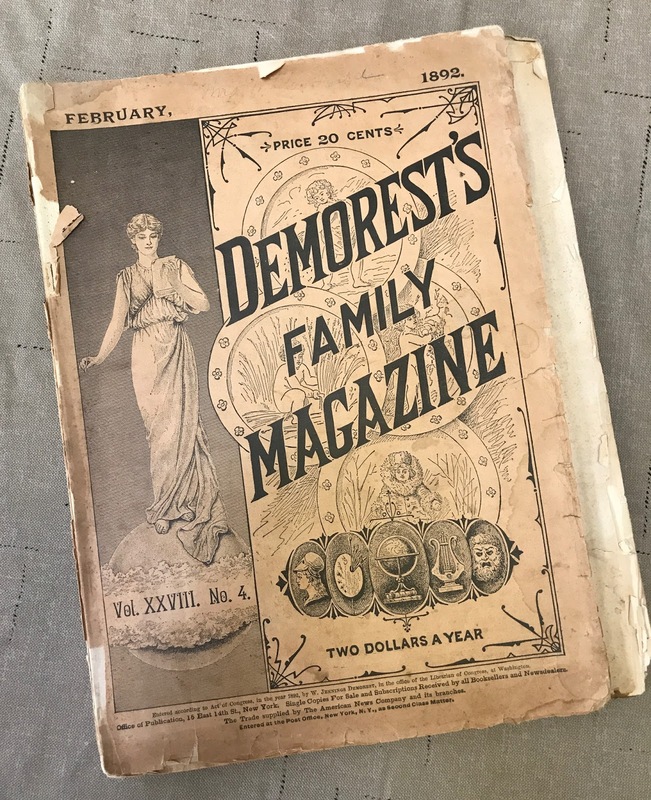 As a retired newspaper and magazine editor, I am fascinated by turn-of-the-century periodicals and publications, especially the ones that focus on the little things in life that we no longer have or experience. 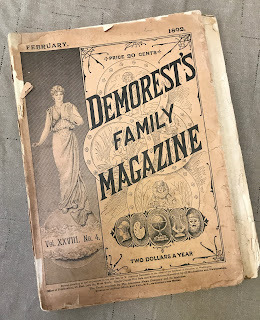 I have a 1892 copy of Demorest's Family Magazine, a monthly periodical that is full of stories, photos and advertising from the period. I can sit and read these for days! 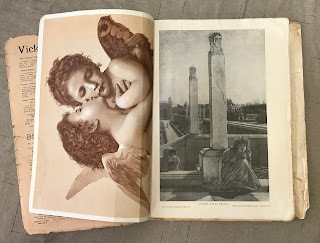 Each issue had the next month's calendar inside, loosely inserted so you could tear it out and display it. What a fascinating collection this would have been in your home. It introduced every-day folks to the world of art through popular and historic paintings. On the more practical side, an 1890s woman could learn new skills, like these doilies with crocheted edges. 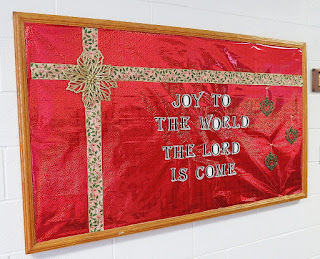 There were six patterns included, and I can picture her sitting in the parlor looking at these pages while she crafted. Pages full of newsy tidbits kept readers up-to-date on what was happening at home and abroad. They were interesting little snapshots of the world around them, and they were probably what people would talk about at the store, on the streets and around the dinner table. Imagine what it would have been like for women of the time to read about the accomplishments of other ladies. 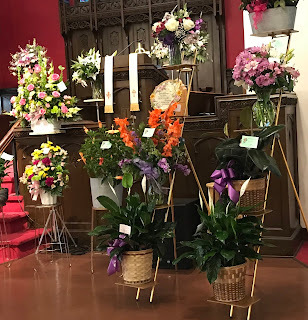 There were several lines here that made me smile, especially the seven members of the law school in New York, the engineer of the steam laundry in Chicago and the train dispatcher of the New London Northern Railroad. These women would have been motivation to learn and grow and accomplish great things in life. Just like today, women have always been concerned about what to wear. The styles of the day were always shown in great detail, and the patterns could be purchased on the next page. Side note: there are no pages in this particular issue featuring men's clothing. They knew even then that women would be interested in the newest fashions while men would usually buy whatever was functional. And last but not least, the final pages are filled with advertisements. Most of the front pages are mostly stories and photos, so the back portion tells us what they could purchase, how wonderful it was and how little they would pay for it. This particular issue advertised seeds and cuttings, sewing machines, bicycles, pianos and a wide variety of household goods. Many of the interests and concerns of the late 1800s are the same as what we see today; we just see them through different eyes.